Specialists in quality vehicles up to $25,000. All types of Trade Ins are welcome. Cars, boats, motorbikes. Just ask. Rentals available from just $39 per day. Small cars through to a 12 seater mini bus. Call for a quote. 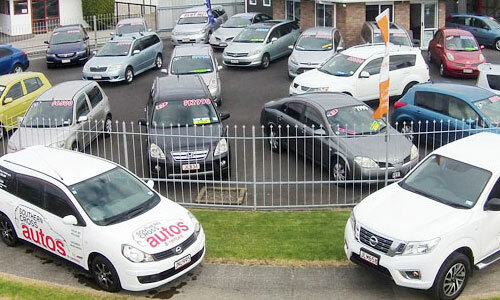 Southern Cross Auto's & Rental's is a small family owned Whakatane based business specializing in the sale of good quality used motor vehicle's of all type's up to $25,000. Clive & Mary Thornton own & operate the business on a daily basis with the assistance of salesman Miles Murray. Clive has over 40 years experience in the motor industry, and is a qualified automotive engineer, and has been passionate about motor vehicles all his life, and follows most types of motorsports. Miles has worked in the car industry for over 25 years, and brings untold experience and enthusiasm, with a keen interest in classic American cars. Mary handles the administration side of the business, and tries to keep Clive & Miles under control! We pride ourselves on giving good old-fashioned customer service and will go the extra distance for our clients. At Southern Cross Autos, we provide a helpful no pressure environment, so that you can make an informed decision about your vehicle purchase. If we don't have what you are looking for, we specialize in procuring the vehicle you require. We look forward to discussing your next vehicle purchase.